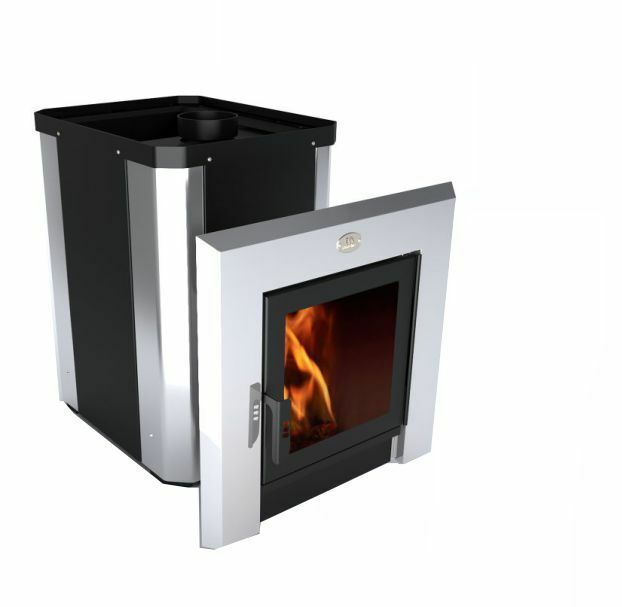 Oven-stove "Classic", by special design ensures fast heating bath (sauna), and the stones that are downloaded directly to the furnace, accelerate the process of heating, heat accumulation and prolonged heat. The door on the remote firing furnace stove "Panorama", equipped with a viewing glass, performing the role of the fireplace doors, this decision will make the rest room more comfortable and cozy. Kamenka "Prutok" is equipped with an open design that loads an array of stones heated and accumulates heat, keeping the temperature at a level that allows you to enjoy a stay a long time in the sauna. The design of the stove-heater "Horizontal" will allow you to get more free space in the steam room, thanks to its compact and comfortable seating along the wall of the furnace. Oven-stove "Visual" is equipped with a heat-resistant glass «SCHOTT ROBAX», built into the back of the wall of the furnace. With this design, you can visually observe the burning flames of fire and enjoy the game while in the steam room. The stove - heater "Cascade" through the open furnace and a large mass of rock, like a geyser steam room fills with thick hot steam, creating a special atmosphere and the effect of the presence of wildlife in the sauna. Wood burning stoves have recently become a fixture of country houses. This is due not only to the cheapest fuel. With what incomparable pleasure relax in the sauna during the stay in the country, especially in the cold season, give you an unforgettable experience. When the sound of crackling logs in the oven combined with a pleasant fragrance mist comfort allowing you to relax, giving up all the problems. Particularly pleased to see the flame of fire through heat-proof glass furnaces, specially designed for this possibility soothing contemplation. 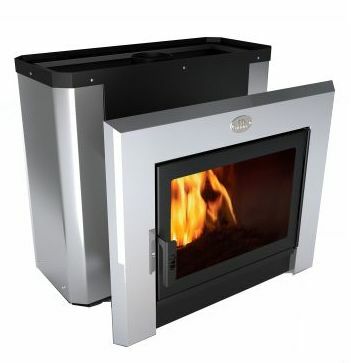 Wood burning stoves, heaters of "Novaslav" is a modern high-performance and reliable design. The thickness of the upper plate of the furnace 8 mm, which offers high resistance and durability when used in acidic environments and at high temperatures. The air gap between the housing and the furnace much faster heating of the air in a steam bath formed by strong convection currents that provides effective removal of heat from the side surfaces of the chamber. Stones are loaded directly to the furnace, and a double S-shaped flue provides heating stones from all sides. The large mass of stone is laid in the stove, ensure stability of the temperature in the steam room and a powerful steam generator. Furnace equipped with a remote fuel channel, allowing them to heat from an adjacent room. Kamenka has a rapid steam heating, high efficiency at small size, ease of operation and reliability and durability. strictly prohibited without the prior written consent of Management Ltd. "NOVASLAV"